Keyboardist and multi-instrumentalist, producer, composer, music director / Madonna, Cirque du Soleil, Diana Ross, Dessy Di Lauro. 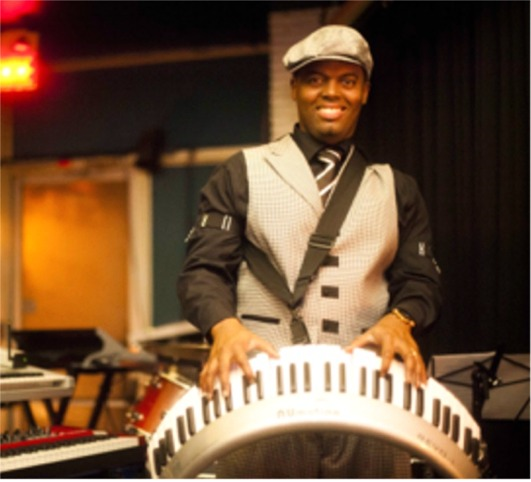 Ric’key Pageot is a major records keyboardist, producer, composer and music director. He is born in Montreal, Canada and living now in Los Angeles. He comes from a musical family of Haitian descent. His parents initiated him to classical piano lessons at the tender age of eight and he went on to attain his bachelor degree in Jazz performance from Montreal’s McGill University. He became the youngest musical director ever hired by Cirque Du Soleil when he led the band on there first arena production, Delirium, at the age of 28. They performed over 250 shows in the US and Europe. The large band consisted of an impressive eleven musicians and six lead singers, among them, sensational singer and his wife, Dessy Di Lauro. Ric’key is producing her upcoming album. Ric’key plays the piano, keys and accordion on the 2012 Madonna World Tour. In 2009, Ric’key was keyboardist of Madonna on the international Sticky & Sweet tour.